Patch came to us as a stray. His owners were traced but he had been missing for a while and they no longer wanted him. 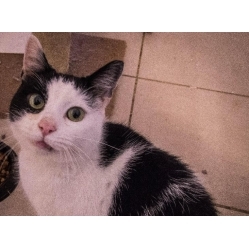 He is a very friendly boy who appears to get on with other cats, He is a lovely cat who would make an ideal pet.